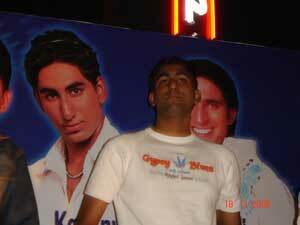 The 2006 India Fest in Gainesville. Who says the festival season is over? In fact, it’s just beginning, at least in Melbourne and Gainesville, the two cities holding India Festivals in February and March respectively. Majeed recalled that when the festival was first held over 10 years ago, just 2,500 people attended. “Now, we have about 50 booths offering food, clothing, arts and crafts, henna, jewelry,” she said. Also, a portion of the proceeds raised at the festival are donated to charities. Last year, a Mercedes-Benz was raffled for the benefit of the Miami Bridge Youth Home with toward hurricane repairs. This year, a 2007 Jaguar X-Type will be raffled to help the local Crosswinds Youth Center build a Learning and Assessment Center. Tickets for the raffle are $100 each and can be obtained by calling (321) 724-0101. 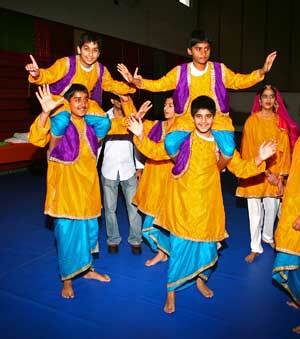 Indiafest 2007 will be held 11 a.m. to 7 p.m. on Feb. 17 and 11 a.m. to 5 p.m. Feb. 18. Tickets for the two-day event are $5 for adults and $2 for children 12 years and under. Ages 5 and under are free. GAINESVILLE: The India Fest in Gainesville will be held Saturday, March 3, at Santa Fe Community College, Gymnasium V, 3000 N.W. 83rd St. About 5,000 people are expected to attend the daylong festivities, which also will include a Health Fair from 9 a.m. to 11 a.m., said organizer Shaheda Qaiyumi. The Health Fair will offer free screenings for Alzheimer’s disease, osteoporosis, asthma, blood pressure, body fat measurement, etc. 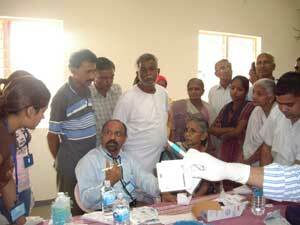 A blood test and cholesterol screening and other tests (prostate and thyroid) will be offered for a low fee. This year’s theme will be Travel Through India to experience one of the world’s richest and colorful cultures. The event is presented by the Indian Cultural & Education Center and Duval Motorcars Mercedes-Benz of Gainesville. Tickets are $2 and kids under 2 years of age are free. NC Karunya of “Indian Idol 2” fame. You saw him endless times on Sony TV’s “Indian Idol 2.” Now, you can see the runner-up of the popular reality show in person on Feb. 24 in Tampa. NC Karunya will perform on that day at India Cultural Center, 5511 Lynn Road, for a fundraiser to benefit the Hindu Temple of Florida. Since his “Indian Idol” days, Karunya has sung for the hit “Lage Raho Munnabhai,” two songs for the Hindi film “Jai Santoshi Maa,” as well as for several Telugu films. “The Hindu temple is on the verge of completion of its Indianization project,” said temple President G.M. Ramappa. “The wide and sweeping staircase rising to meet the terraced floor of the temple, the grandiose Dwajasthamba or flag staff, the Garuda which is the vehicle of the presiding deity, and the Dwarabalakas or temple door guardians are stipulated architectural elements of a Dravidian-style temple. The Karunya concert is one of the fundraiser that Ramappa hopes will help fund some of the temple’s remaining projects. The event starts at 5:30 p.m. with hors d’oeuvres, with the program from 6:30 p.m. to 9:30, followed by dinner thereafter. Tickets are $50 per person, $100 for couple, $150 for three and $250 VIP for four people. After the overwhelming success of the last three years, Phulorida Bhangra Inc. will present South Beach Bhangra 2007, Miami’s international bhangra competition to celebrate the high-energy style of dance of Northern India. On March 3, 12 dance teams from all over North America – including Cornell Mundey, Doaba Arts Club, Duniya All Stars, Gator Bhangra, Mera Punjab, MSU Bhangra, RU Bhangra, Sher Foundation, Surrey India Arts Club, UBC Girlz Bhangra Team, Hurricane Bhangra and Panther Bhangra – will take the stage at the Jackie Gleason Theater for the Performing Arts in Miami Beach. They will be competing for more than $10,000 in cash and prizes. The event includes special Guest performances by bhangra singing sensation Amarjit Sandhu and JoSH. Doors open at 6:30 p.m. and the show will kick off at 7 p.m. Tickets range from $10 to $40 and can be purchased at www.ticketmaster.com or at the Jackie Gleason Theatre Box Office. Details regarding events and team information have been posted at www.southbeachbhangra.com. 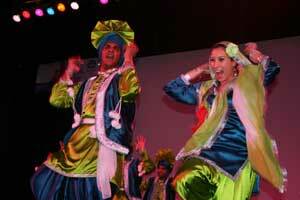 For more information, email tarun@southbeachbhangra.com or call (786) 553-0739. About 1,200 people from Orlando, Plant City, Kissimmee, Ocala and Jacksonville took part in the Uttarayan (kite flying festival) held Jan. 14 by the Gujarati Society of Central Florida at Chisholm Park in St. Cloud. 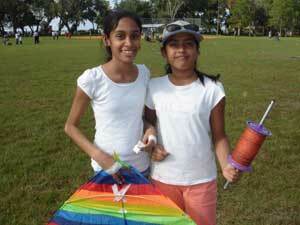 More than 1,500 people attended Uttarayan (kite flying festival) on January 14 at Lake Park in Lutz, Florida. Organized by the Gujarati Samaj of Tampa Bay, the event was record breaking in number of attendees this year, according to new incoming Samaj President Dinesh Gandhi. The association provided kites and thread, as well as food catered by the local Swaminarayan Mandir. Also, adults and the young alike played cricket and volleyball under the sunny skies of Florida. The next Samaj festival will be Holi at Lake Park on March 3. Also celebrating Uttarayan on the same day, January 14, was the Gujarati Society of Central Florida at Chisholm Park in St. Cloud. About 1,200 people from Orlando, Plant City, Kissimmee, Ocala and Jacksonville took part in the festivities, according to organizer Tino Patel. During the daylong event, which began at 11 a.m., the Gujarati Society served bhajias, ghantiya, jalebi, pizza, khidi vegetable and masala chhas. The next Gujarati Society event will be on March 4 at Turkey Lake Park in Orlando. Drs. Kiran and Pallavi Patel receive the Humanitarian Rose Award from the People’s Princess Foundation from Maureen Roresh Dunkel, founder of the People’s Princess Charitable Foundation, as Sean Ferrer, son of Audrey Hepburn, left, and Crown Prince Ermius Haile Selasie of Ethiopia, right, look on. Drs. Kiran and Pallavi Patel received the Humanitarian Rose Award recently at Kensington Palace for their work in India, Zambia, Tanzania and their hometown of Tampa. The prestigious award was presented by the People’s Princess Charitable Foundation Inc. (PPCF) within the State Apartments at Kensington Palace in London. The award was named after the late Diana, Princess of Wales, known posthumously as “England’s Rose,” and it is presented annually to individuals from around the globe who effectively use their celebrity, royalty, financial or talent platforms to assist the less fortunate. Tampa entrepreneurs Drs. Kiran and Pallavi Patel were among the select group of honorees from Kenya, Ecuador, Turkey and the United Kingdom presented with awards at the black tie event. 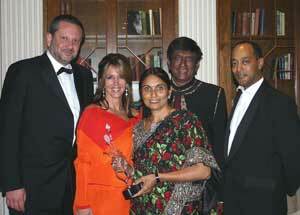 The Patels were honored in the Global Humanitarianism category, which is the highest honor given. Tampa Bay’s Mukund and Hina Bhalani, along with daughters Rina and Meera, as well as 22 medical students and five physicians, spent a December week in India. 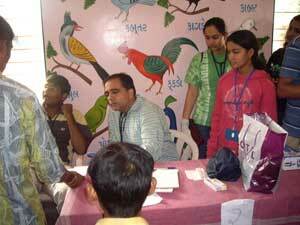 Their aim was to serve – free of charge – poor patients in Anand, and surrounding villages of Gujarat. Co-sponsoring the visit was the Doctors Goodwill Foundation in the U.S. and Vrajbhoomi International School in India. The Asian American Chambers of Commerce (AACC) of Tampa Bay will host its third annual Business Forum on Saturday, March 17. The AACC is comprised of Tampa’s Indo-US Chamber of Commerce, Philippine American Chamber of Commerce, Chinese Chamber of Commerce of Tampa Bay and other business professionals. This year’s forum is titled “How to do Business in India and in China.” Just as in previous years, the forum will feature an entrepreneurial success panel. Speakers will include Holland and Knight Partner Jeffrey L Rubinger, former Dayhoff President Uday Lele, Reliance Consulting Managing Partner Amol Nirgudkar, CPA, and Bona Financial Group CEO Rafael Bona. The forum will feature several prominent speakers who have successful businesses in India and in China, but residents of Tampa Bay. The AACC Business Forum, which is open to the public, will take place at the Philippine Bayanihan Arts & Events Center at 14301 Nine Eagles Drive, Tampa, FL 33626. Registration begins at 8:30 a.m. and the activities end at 2 p.m. Tickets are $5 if purchased before Feb. 27 and $10 anytime after that date. They include breakfast, lunch, networking and participation in all discussion panels. Sponsorship opportunities at various levels are still available. 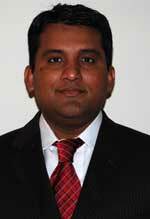 For information, visit www.aacctampabay.org or call Santosh Govindaraju at (813) 230-7794. On Jan. 1, hundreds of devotees gathered to pray at the Hindu Society of Central Florida (HSCF) temple in Casselberry/Orlando. By noon, aarti began more than a 1,000 people crowded in the intricately carved main hall. Jaya Swami of Oviedo brings her whole family as “this is an auspicious way to begin the New Year … praying and paying respect to God,” she said. Many Hindus, as is the custom, begin everything new and noteworthy with pujas and aartis. This is continued in the United States, especially on a public holiday. “It is wonderful to see so many people at the temple,” said Swami. “We all live so far from our home (India) and the temple is the place to unite and feel like a family.” Her two sons agreed that they do feel like Hindus and appreciate the Indian culture during a visit to the temple. Maha Shivratri will be celebrated at the HSCF temple on Friday, Feb 16. For information, call the temple office at (407) 699-5277 or visit www.hindutempleorlando.org. 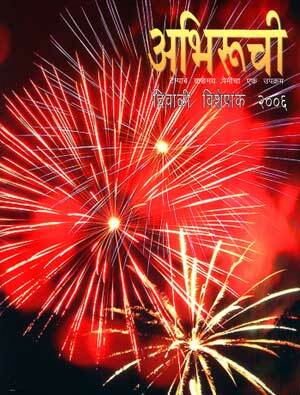 “Abhiruchi,” a group of Maharashtrian enthusiasts who had been meeting over the last couple of years – reading Marathi literature, dramas and appreciating the work of famous authors and poets – decided to publish a magazine in November 2006. The very idea behind this venture was to stimulate fellow Maharashtrians in the Tampa Bay and surrounding areas to write articles, stories and poetry and any other contributions. Although about 18 such Marathi magazines are published in the United States, Abhiruchi is first in the Tampa Bay area. Publishers express their heartfelt thanks to all participants, sponsors and well-wishers, and hope to receive support in future. At present, the idea is to put out the magazine on an annual basis. Marathi readers of Khaas Baat are welcome to contact Abhiruchi by calling Manjusha Naik at (813) 741-2788 or e-mail manjushsaotr@yahoo.com. For many years, we advised clients to gift securities and other income earning instruments to their teenagers, so that the income generated by the teens would be taxed at the children’s lower tax rate. As long as the kids were 14 or above, the investment income earned from the parents’ gift was taxed at rates as low as 15 percent. In May 2006, Congress changed the law to significantly expand the reach of the Kiddie Tax. The change will make the Kiddie Tax apply to children who have not attained the age of 18 before the close of the tax year, effective with the 2006 tax year. The tax impact of this change could be significant to children who were privileged to receive significant gifts of securities from their parents. Despite the law change, the small exemption from Kiddie Tax continues to apply. For 2006, the first $850 of an under age 18 child’s earned income is tax-free, and the next $850 is taxed at the child’s marginal rate (generally 10 percent). But, unearned income exceeding $1,700 is taxed at the parents’ highest income tax rate, as long as the child has not reached age 18 by the end of the year. It is important to note that the Kiddie Tax only applies to unearned income (passive income like interest, dividends, rents, capital gains). It does not apply to wages or other income earned by the child. Therefore, if you are a small business owner and decide to employ your 15-year-old to help with some filing, that income is not subject to the Kiddie Tax. The tax cost of this law change can be significant depending on how much investments your children have. For example, if your 16-year-old child makes $10,000 in interest income in 2006, under the old rules his tax liability would be $1,000. Under the new rules, the child would end up owing over $3,200 in tax. For dividends and long-term capital gains, the tax penalty is much less severe. Typically, the child is taxed at a 5 percent rate on dividends and capital gains, whereas the parents are taxed at 15 percent. Thus, the additional penalty from the Kiddie Tax is only 10 percent. In some cases, the implications of the Kiddie Tax could be significant enough to cause a realignment of the under-age-18 child’s investments. Rather than incur the parents’ high tax rate on investment earnings, it may make sense to shift the child’s investments to growth equities that pay little or no dividends. These include tax-exempt municipal bonds or tax-sheltered savings vehicles such as IRAs and qualified tuition/Section 529 plans. The most confusing aspect of this Kiddie Tax law change is its implementation (i.e. the added tax return preparation hassle). If a child under age 18 has over $1,700 of investment income, that child’s tax return needs to be carefully coordinated with the parents’ return. In some cases, you can report the child’s investment income on the parent’s tax return. In many cases, a complicated schedule must be added to the child’s return that integrates both the parents’ and child’s income to arrive at the proper Kiddie Tax. This means that the child’s return can no longer be done separately and filed early. If you are preparing your teenager’s tax return, it will be important to determine if the Kiddie Tax may apply. If the child’s return is prepared without considering the new law change, it can get considerably expensive and time consuming to correct the situation. As you get ready to file your 2006 tax returns, consult your tax adviser if there is any doubt as to whether the Kiddie Tax applies to you and your family. All the idols for the new Hindu Society of North East Florida (HSNEF) temple building in Jacksonville arrived on Jan. 19. Since the new temple site on Greenland Road is not open yet, the idols were received in the current temple building. Dedicated volunteers helped to unload the deities on Jan. 19 and 20 from the shipped container. Then on Jan. 21, the Jalaadhivasam and Dhaanyaadivasam ceremony was conducted. Jalaadhivasam and Dhaanyaadivasam (dwelling in the water & grain) are the first and foremost rituals in the process of consecrating an idol. During this ritual, the idols are kept in the water tank for 48 days. The Jalaadhivasam was initiated for Lord Venkateshwara and Lord Shiva (Lingam), both of whom will have regular Abhisheka done. Dhaanyaadhivasam was initiated for other deities – Ram Parivar, Radha/Krishna, Lakshmi/Narayana and Durga Devi. More than 250 devotees participated in the ceremony and poured water on Lord Shiva and Venkateshwara and Rice on other deities, amid the chanting of Rudram/Suktam by volunteers and bhajans by Bala Vidya Mandir children. LAZIZ IN CLEARWATER DOES IT AGAIN! Though we haven’t paid a visit to Laziz yet, we have written about the Clearwater restaurant in the past. And here we go again, this time because Laziz is the only Indian restaurant mentioned by TBT (St. Petersburg Times’ free newspaper) in its 100 best restaurants around the Tampa Bay area. Like Laziz, we wrote about Gateway to India just a few months back. Apparently, the Longwood/Orlando eatery is quite popular with not just regular customers but also newspapers, notably the daily Orlando Sentinel. The restaurant at 790 E. State Road 434 also does takeout, banquet and catering and serves wine, champagne and domestic and imported beer. Last year, we had written about a new bimonthly national magazine “The Indian American” from New York started by Dr. Akshay Desai, a good friend of Khaas Baat. The CEO and president of Universal Health Care in St. Petersburg was kind enough to send us the January-February 2007 issue of his magazine, which appears to be picking up momentum with a readership base of 40,000. The magazine seeks to inform, analyze and entertain people of South Asian origin in the U.S.
As the colder fall and winter months approach, the whole array of colds and allergies come into practice as a pediatrician. In this article, I would like to share some valuable information with most of the parents who have to deal with these common childhood illnesses.